I can see the stars better than you can. Interesting stuff from this week and beyond. Just what is the circular economy and are you ready for it? Reverse logistics anyone? We’ve talked about design thinking versus systems thinking. What about manufacturing thinking? Can good design produce good manufacturing? Or is it the other way round? Can your company overdo it on social media? There’s a good chance that you already are. What personality type makes the best salespeople? It’s not the hard-charger. Or even the most outgoing. People with “moderate temperaments” make the most sales. 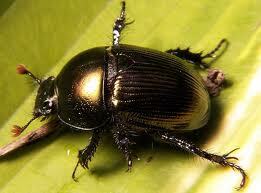 Dung beetles aren’t very smart. But they can navigate by the stars. Maybe they’re smarter than we thought. Bleeding internally? Injecting a foam through your belly button could stop it. But you still need to go to the hospital. Have the mid-January blues? Need a little excitement in your life? Here’s how to set your cocktails on fire.